Marouane Fellaini looks set to be among those to move on Deadline Day. So Transfer Deadline Day is here once again and up and down the country, football fans are glued to their phones, constantly refreshing their social media to find out who, if anyone, their club will sign. Deadline Day really is like no other day. Every year people question ‘Why do clubs leave it so late to do business?’ but in truth we wouldn’t have it any other way. We’d all love our clubs to get signings in early doors but in equal measure, we all love the excitement and tension that comes with a Deadline Day signing. Over the past few years it has become more and more a spectator sport, helped by Sky Sports and their Deadline Day figurehead, Jim White. As much as we’ve seen high drama - Peter Odemwingie’s ultimately fruitless drive to Queens Park Rangers back in 2013 springs to mind - there are also days that have proved to be damp squibs with White tasked with trying to make us care about Stoke signing someone from the Belgian league. What never changes is our hunger for news. All window we feed off the rumours and speculation and on Deadline Day, we cling to the hope that our respective teams will sign someone. All reason and rational thinking gives way. It doesn’t matter that your club is splashing £25 million on someone they don’t need, ignoring their obvious areas of improvement, you’re getting a signing and that’s what really matters. The window shuts at 11pm tonight and what happens between now and then remains to be seen. Several fairly big deals in the Premier League appear to be bubbling under the surface but nothing that will match Liverpool splashing over £55 million on Luis Suarez and Andy Carroll back in 2011 or Arsenal’s extremely last-minute signing of Andrei Arshavin back in 2009. It does look set to be a busy day at the City Ground, however, with new Nottingham Forest manager Martin O’Neill reportedly targeting several signings to try and help shape the squad in the way he’d like. Bournemouth’s Tyrone Mings is the most high-profile of the names linked whilst at the time of writing, the club are also working on a deal for the brilliantly-named midfielder Pele from Monaco. There could also be a few players out the door by the close of play with Liam Bridcutt, Jamie Ward and Zach Clough seemingly having no future with the Reds. Forest brought in 17 new faces in the summer window, spending over £20 million to try and get the club back to the Premier League, but the Reds currently looking short of doing that. 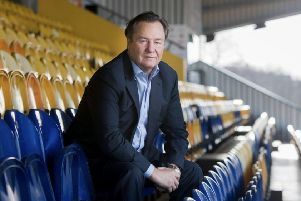 They sit outside the Championship play-off places at the moment and will be hoping their business in this window can propel them up the table and closer to where they ultimately want to be. Of course amidst all the drama, we shouldn’t forget the tragedy of Emiliano Sala who is missing, presumed dead, after the light aircraft he was in disappeared over the channel when the striker was flying to Cardiff following his January move from FC Nantes. Whilst for some clubs it may prove to be a memorable transfer window, for Cardiff and their supporters it has been an unbelievably difficult one and whatever happens today, Sala’s disappearance really puts it all in perspective.